I opted to clear out the space. Here`s a good trick I used to bulk delete emails that I didn`t need anymore. I arrived at work on Monday to a daunting warning. My Gmail inbox had reached maximum capacity, and unless I did something about it, I`d no longer be able to send or receive emails. I`m generally an "inbox zero" kind of person, meaning I try to clear my email inbox out every day and let my inbox serve as a kind of to-do list. But when I get rid of emails, I generally archive them and rarely ever delete them. That means the emails are still available and accessible if I need to find them, but they don`t clutter my inbox. One of the main reasons I love Gmail is that you can archive emails but still keep them forever. If I really wanted to, I could look back at email exchanges between my husband and me that we sent back when we were still "just friends." I can easily find emails I`ve received from my accountant and doctors. Things such as tickets, receipts, and itineraries are all still there. Monday morning, I was at 14.8 GB, or 99% of my limit. After that, you have to pay. The cheapest plan is 19.99 per year for 100 GB of space and that seemed unnecessary considering how much garbage I have in my inbox. 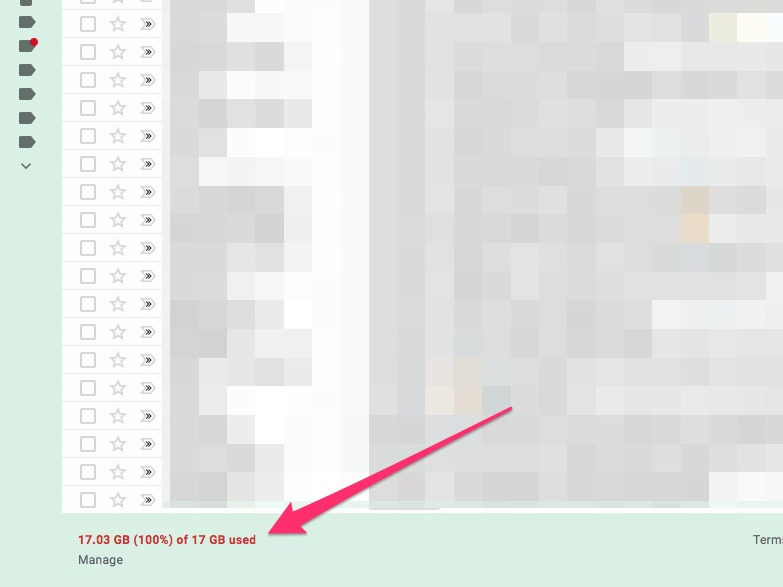 You can see how much of your free storage you`ve used in the bottom left-hand corner of your Gmail inbox. 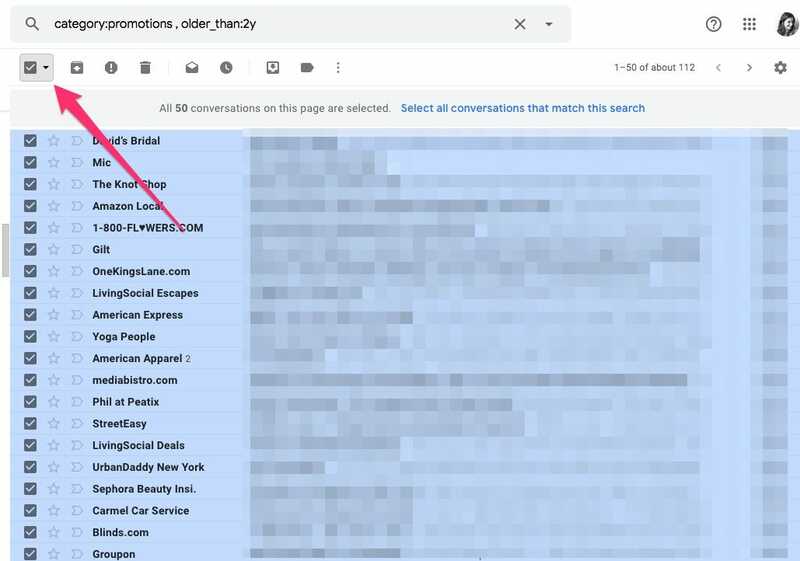 If you`ve reached your max and need to clear out space quickly, you`re going to want to find a way to delete emails en masse. The best way to do that is to set some parameters so you can bulk delete emails you don`t need anymore. I figured I`d never need to find these promotional emails again — especially the ones that are more than two years old. 5. Now, your work here isn`t done. You still have to delete the emails from your trash.